Negative messages can crush a girl’s heart. So when Ingrid Harb’s high school counselor discouraged her from applying to four-year colleges, it could have scarred her for life. Instead, Harb ignored the advice, went on to earn her bachelor’s in Business Administration from Trinity University in San Antonio, TX -- and began empowering other women. Today Harb owns Women Ambassadors Forum, a Tampa-based B-corporation that trains women from around the globe to reach their potential. 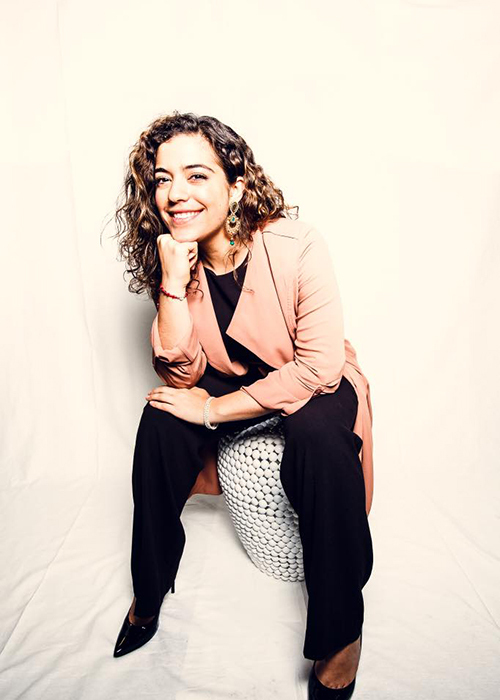 “Every single woman that has been to my conference has been told that they’re not destined for greatness, yet they achieved greatness,” says Harb, who felt her ambitions undermined by being categorized as an athlete rather than as a scholar in high school. Women Ambassadors Forum’s goal is to ensure women know how to respond and move on when they hear those negative words, and know they don't have to go through the pain of that experience alone. Ingrid Harb owns Women Ambassadors Forum. In partnership with the nonprofit Synapse, Women Ambassadors Forum is holding a one-day conference on January 22 to help women of all ages achieve their break-throughs. Themed “Her Time is Now,” the conference is intended to help women plug into the Tampa Bay entrepreneurial ecosystem -- and the opportunities afforded by the 2019 Synapse Innovation Summit in downtown Tampa. “It’s a great way to get women ready to conquer everything at Synapse,” Harb adds. Learn more by visiting the Women Ambassadors Forum website and clicking on Innovation Forum under Global Forum in the toolbar. Early bird tickets are available until November 15. Florida earned a D+ for its female employment and earnings index in 2015, according to The Status of Women by County: Employment and Earnings, April 2018, by Julie Anderson and Emma Williams-Baron. Florida ranks 38th in the nation for a median annual pay of $35,000 for women employed full-time, year-round. Some 53.7 percent were in the workforce; 38.8 percent worked in managerial or professional occupations. “The gender wage gap of 12.5 percent in Florida is much narrower than the wage gap in the United States overall (20.0 percent), due in part to the low earnings of men in the state,” says the report commissioned by the Florida Women’s Funding Alliance, an affinity group of Florida Philanthropic Network. The good news is that Tampa Bay Area counties, including Hillsborough, Pinellas, Pasco, Manatee, and Sarasota, were in the top third for median annual salaries in Florida in 2016, the report shows. Polk County was in the middle third. McKinsey & Company documents the gender gap for corporate America in its study “Women in the Workforce 2017,” done in partnership with Leanin.Org. Women like Harb are helping make strides toward equality, with help from organizations that seek to elevate them. One such organization is the University of South Florida St. Petersburg, which is partnering with Accendo Leadership Advisory Group to provide executive training for women in the Tampa Bay Area. The program includes coaching from Accendo’s Co-Founders Cari Coats and Karen Dee. and expand the Woman and Leadership Initiative. The program isn’t for everyone, however. It accepts women with at least 10 years of experience, proven leadership ability, and the aspiration to advance their career one or two levels. A majority are sponsored by employers. “We want to create a personal and intense leadership experience for each of the participants,” says Dee, a Managing Partner for Accendo. Karen Dee is Co-Founder of Accendo Leadership Advisory Group. Accendo operates in Tampa and Orlando. The next cohort at USFSP begins in the fall of 2019. To learn more or apply, follow this link. “We hope that this partnership [with USFSP] will allow us to touch more women,” Dee adds. “They really taught me as a leader how to look at things. We all look at things through our own lens. They really taught me to step out of my own way,” she explains. Fernandez enjoyed being able to practice her responses in various situations. In addition to the one-on-one advising, she says she also benefitted from the peer group advice. A Tampa native, 38-year-old Fernandez credits the women before her for breaking the glass ceiling and bringing up other women with them. What advice does she have for women who want to get ahead? “I’d say work hard, be visible and sign up for anything extra that is possible. That’s either in your workplace or within your community,” she says. She also believes in building relationships and volunteering, perhaps on not-for-profit boards. Another organization that is working to elevate women is the invitation-only Athena Society, which affords women the opportunity Betty Castor is working to elevate women through The Athena Society.to network and connect with mentors in Tampa Bay. 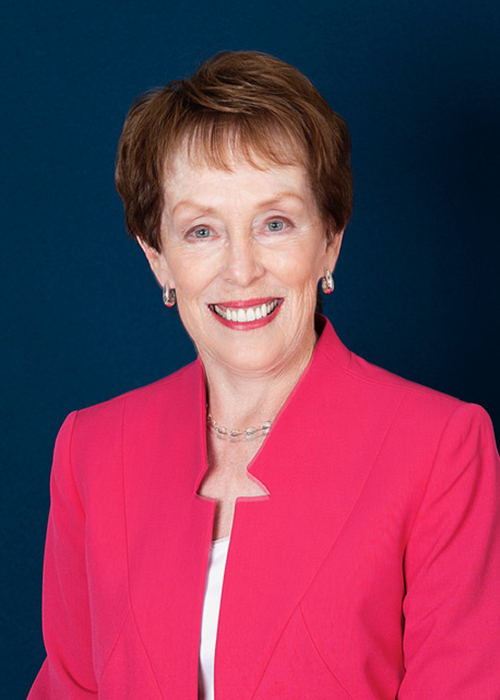 Heading that group this year is Betty Castor, co-sponsor of the state’s Equal Rights Amendment and the first woman to hold the post of president pro tempore of the Florida Senate in 1985. Castor also was the first woman elected to the Florida Cabinet and the first female president at the University of South Florida, a position she held from 1994 through 2000. “Primarily what Athena does is raise awareness,” Castor says. Athena doesn’t offer ongoing training, but recruits women in leadership roles and encourages them to participate in other organizations with like-minded goals, she says. These days she encourages younger women to try non-traditional career fields for women. Castor points to the importance of having role models and mentors. “You do need help. You do need to find some role models, but you also have to find some people who are willing to mentor,” she adds. At a recent Athena meeting, the topic was pay equity for women. Those inequities can be perpetuated after employers ask about current salaries during the hiring process. “If a woman comes into the company low, she tends to stay low,” Gail Golman Holtzman, a principal with the law firm Jackson Lewis in Tampa, tells the gathering. She recommends an American Bar Association toolkit as a to help ensure pay is fair. Simone Gans Barefield, CEO of the Plant City-based Gans, Gans & Associates, Inc., suggests to the group that women seeking raises need to talk about their worth, and what they bring to the organization. “Practice if you aren’t naturally comfortable asking someone,” she adds. She advises reaching out for help. In some cases, women become executives by starting their own businesses. One such woman in Tampa Bay is Monica Leonard, Founder of Molly’s Suds, who used to be a pediatric nurse. Her journey into Monica Leonard started her own business, Molly's Suds. entrepreneurship began with a personal tragedy; her daughter Molly was stillborn when they were living in Lakeland in 2005. She set out to discover why -- and discovered fetuses are exposed to pesticides, food dyes, and other chemicals in our drinking water. Though she tried to find a safer laundry soap, she didn’t locate one that met her satisfaction. Until she created her own. 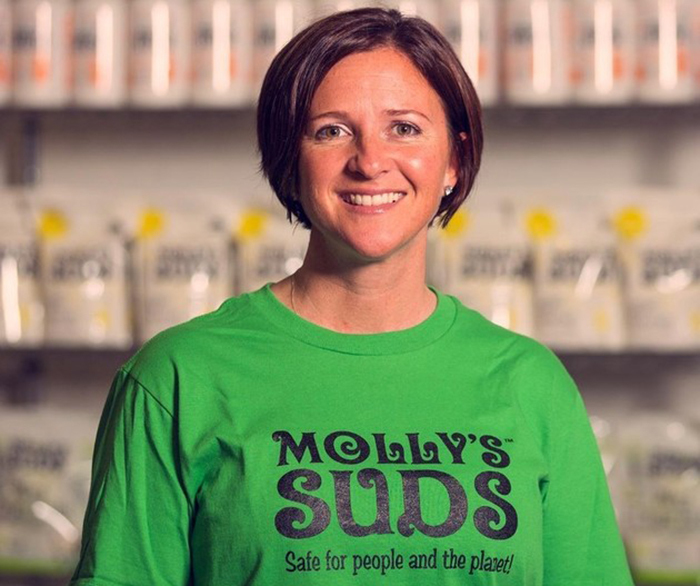 Molly’s Suds began selling in a farmer’s market. “From there, I just started to roll,” she says. Leonard was able to quit nursing and use her retirement fund for the business. She moved from a two-car garage into a warehouse, debt free. She has been renting in Seminole, with plans to move into her own 19,000 square foot warehouse in St. Petersburg early this winter. What advice does she have for other women entrepreneurs? “Until you’re exploding, don’t hire help,” she says. It’s important to reach out to the people you know. “It’s important to network as much as you can,” she adds. An effective website is necessary, an Amazon presence critical. “Today’s consumer is a shopper,” she explains. “The biggest piece of advice I can say is: 'Just start',” she adds.